Just this past week, the station has started broadcasting UR Concerts’ Friday Night Live. 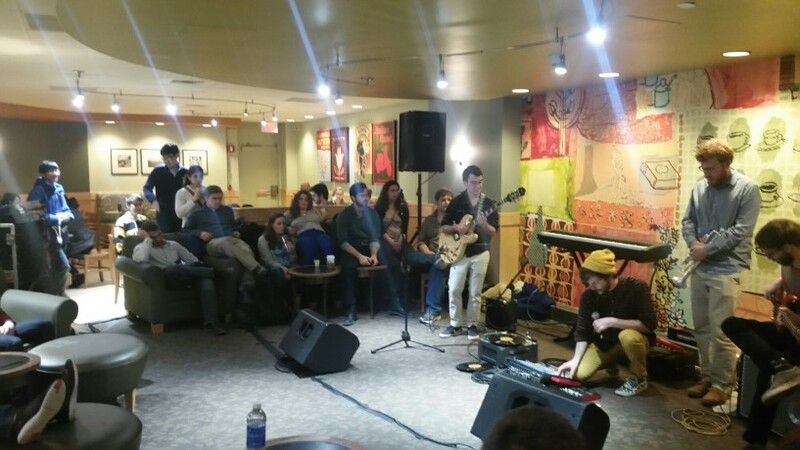 Friday Night Live is a weekly concert in Starbucks at the University of Rochester. Updates from each week’s show can be found here, on the Friday Night Live page. Below is a picture from last week’s, which featured Gabe Becker & Blake Harriman. Next week’s concert will feature Yang Yang and Reid Zuckerman. Facebook Event.